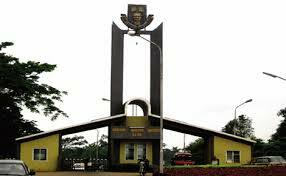 The Obafemi Awolowo University (OAU) has warned newly admitted students of the 2018/2019 academic session against cultism and other social vices. The Vice-Chancellor, Professor Eyitope Ogunbodede, represented by the Deputy Vice-Chancellor (Academic), Professor Simeon Bamire, gave this warning while flagging-off the orientation programme organized by the Division of Students’ Affairs for the newly admitted students. Noting that the university upholds learning and culture, the DVC (Academic) implored them to imbibe and inculcate this as they pursue their goals on campus and contribute towards developing the nation. According to him, “we frown at cultism, exam malpractices, disregard for authorities, immoral acts and other evil vices.” However, he affirmed that the university believes in responsible students’ unionism done from a logical and intellectual approach, and not as a tool for violence and discordance. Professor Bamire added that the students are free to belong to any association of their choice provided it’s registered with the Division of Students’ Affairs. He gave an assurance that work is in progress towards the improvement of the living conditions of the students, and therefore sought their cooperation to further provide a more serene environment for learning. The orientation programme, according to Professor Bamire for learning how to prepare for the tasks ahead. “You are beginning a new journey; hence you need to seek advice and counsel from the right people as well as associating with the right friends and maximizing the opportunities available in the school”. Also speaking, the Dean, Division of Students’ Affairs, Professor Isiaka Aransi, charged them to be alive to their responsibilities, particularly their primary objectives for securing admission to Obafemi Awolowo University, which is not only to obtain, a degree but also to complete their programmes at the stipulated time. He urged them to shun persuasions that can result into violent demonstrations and confrontational act against the University, stressing that the University Management welcomes dialogue rather than flagrant disobedience and disregard for constituted authorities. He said the university has rules and regulations to contain defiance and punish offenders. Professor Aransi, therefore, congratulated them on their admission into the Obafemi Awolowo University, reminding them that thousands of candidates applied for admissions but only a fraction qualified and were admitted to pursue various programmes in several Departments and Faculties of the University.